This canvas awning measures 375cm x 375cm and comes complete with 2 x King Size poles (L = 235cm), 10 x pegs and 10 x guys. 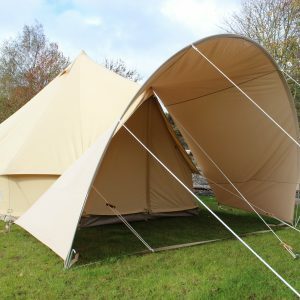 It’s lightweight but strong, made in a high-quality cotton canvas, with a beige polyester rim, and has been treated to be water, mould and UV resistant. 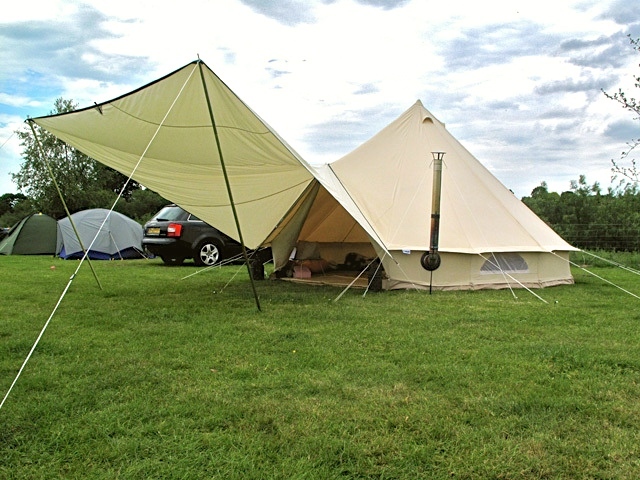 It packs down into a matching canvas bag and only weighs 6kg. 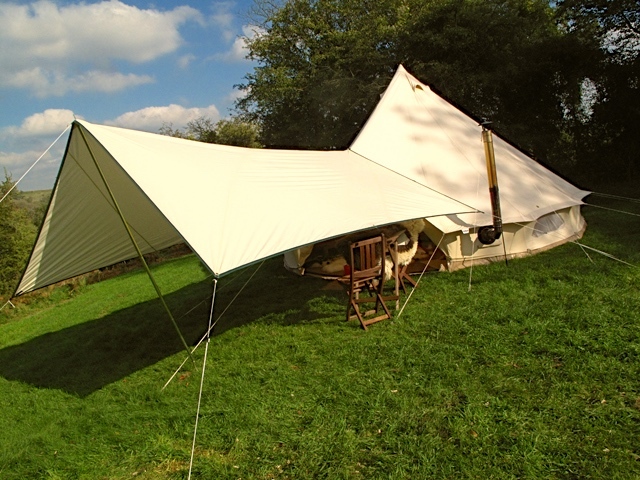 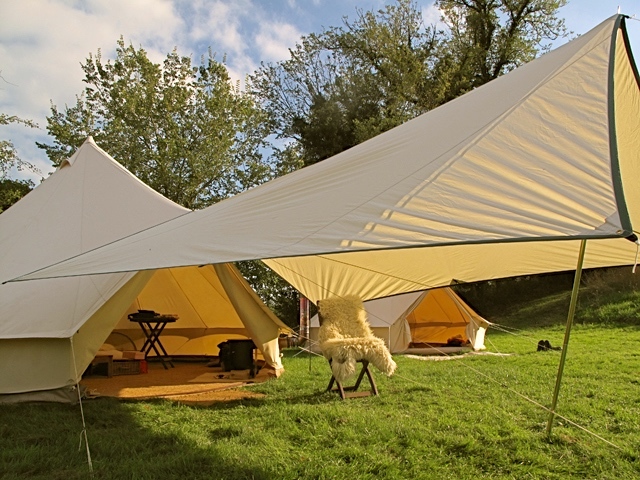 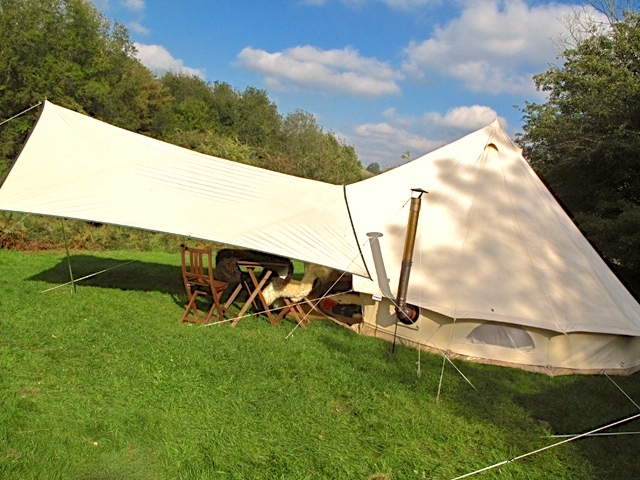 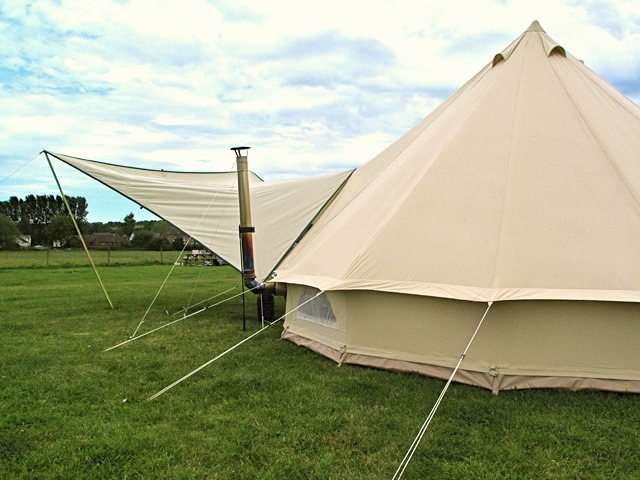 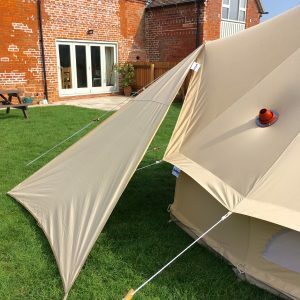 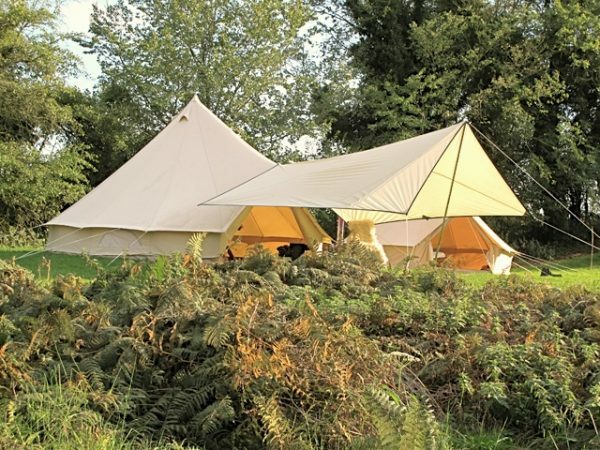 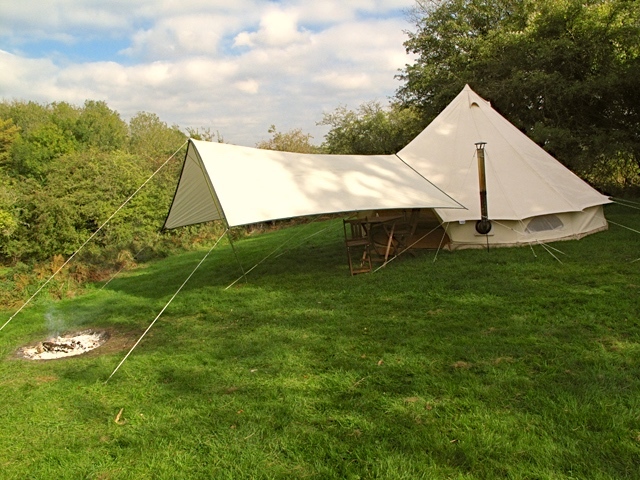 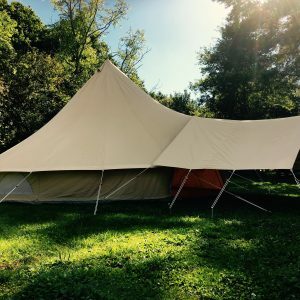 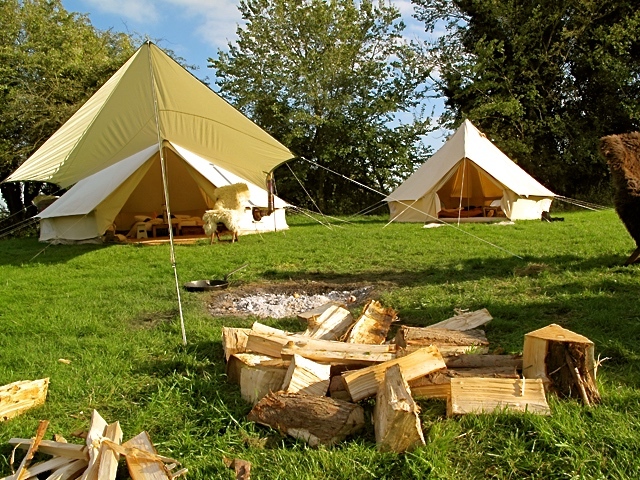 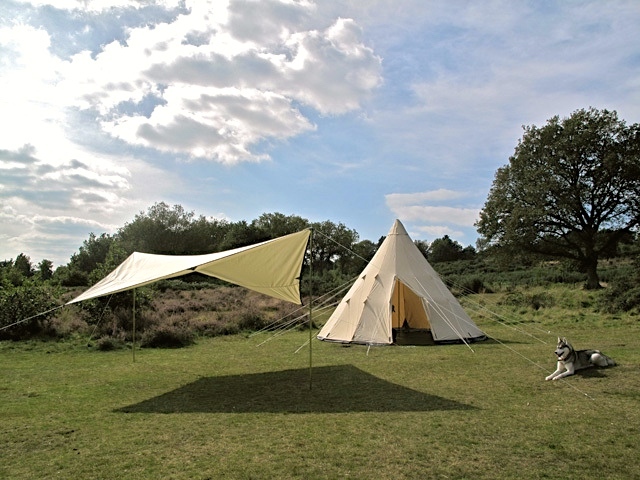 The awning can be connected to the front of a bell tent creating a porch, rigged to the top of a camper van or happily stands alone. 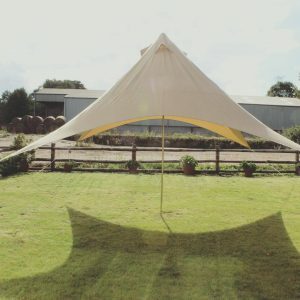 This is a really versatile awning that can be used in many different applications to really complement your camp.